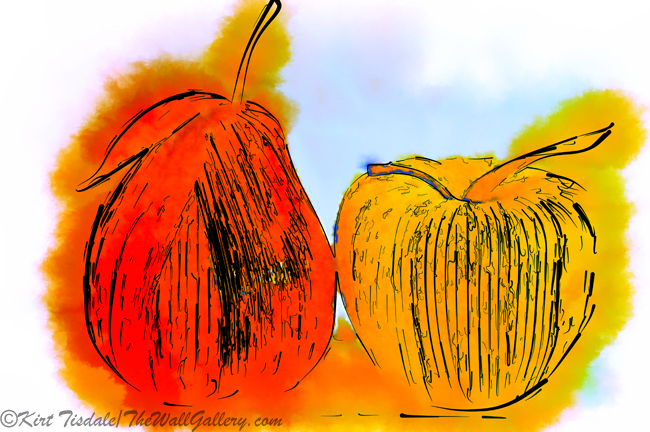 This entry was posted in Abstract Watercolors, Uncategorized, Watercolor Painting and tagged abstract art prints, apple, art galleries, artist kirt tisdale, fruit, interior design, online art gallery, pear, still life, watercolor art on March 29, 2016 by Kirt D Tisdale. 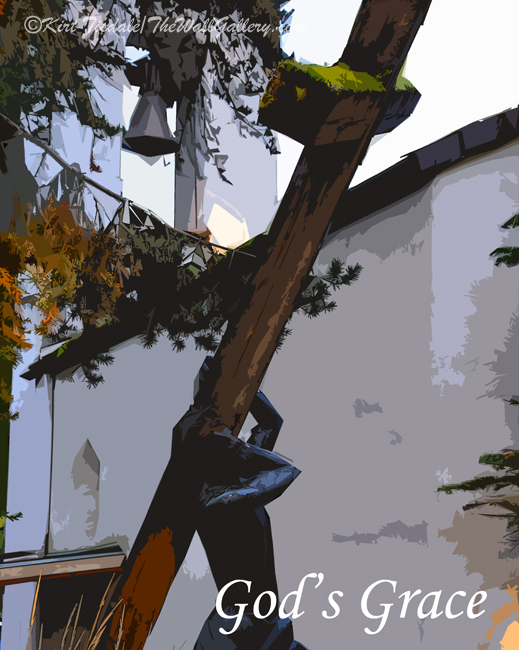 This entry was posted in Abstract Watercolors, Art Prints and tagged christian, cross, crucifixion, easter, jesus, kirt tisdale, online art gallery, religion on March 25, 2016 by Kirt D Tisdale. Since spring is officially here, I thought it would be appropriate to share some shots from a photo shoot I did today. 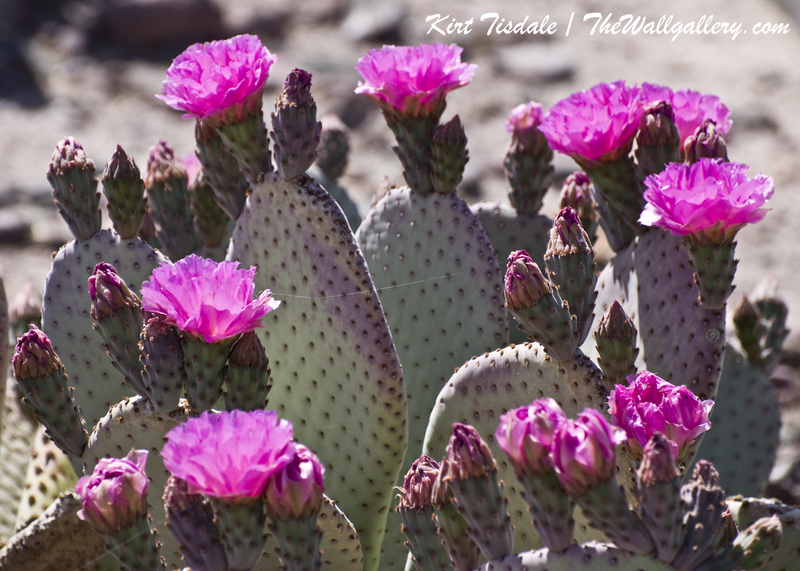 In the desert, spring is well known for the various cacti coming into bloom. 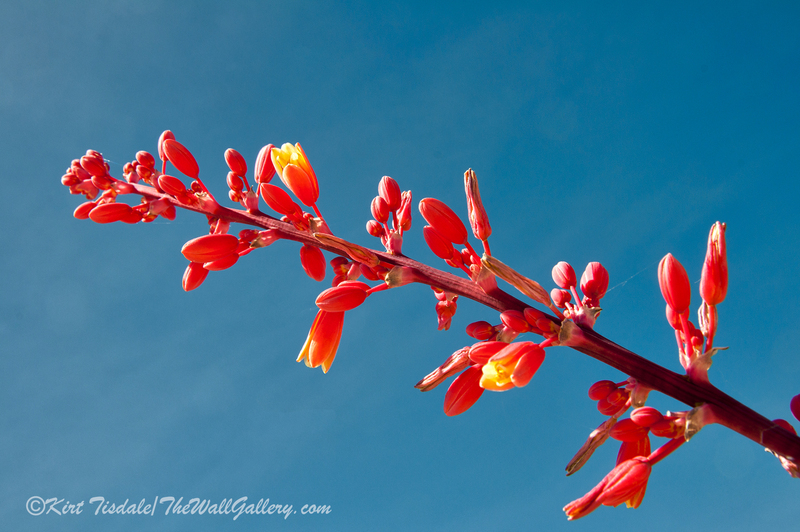 It is beautiful to see these succulents produce flowers that seem contra to the starkness of the plant itself. 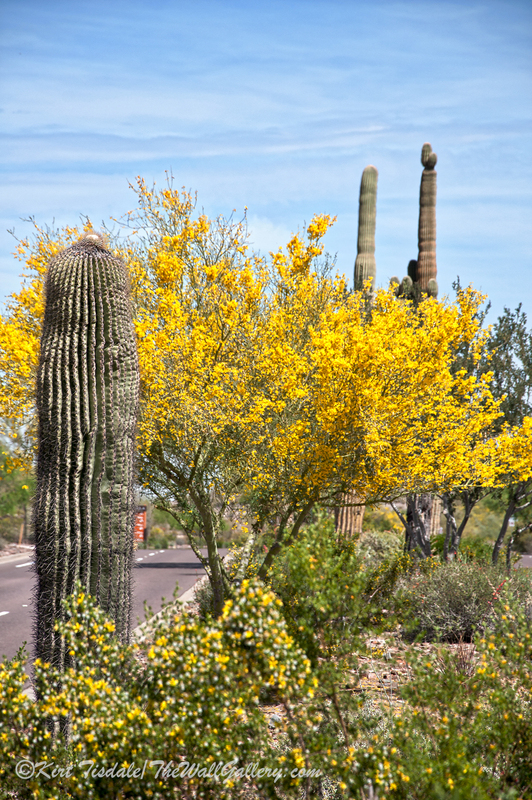 Along with the cacti blooming, the native trees also come into their own, with a full display of flowers covering the branches. 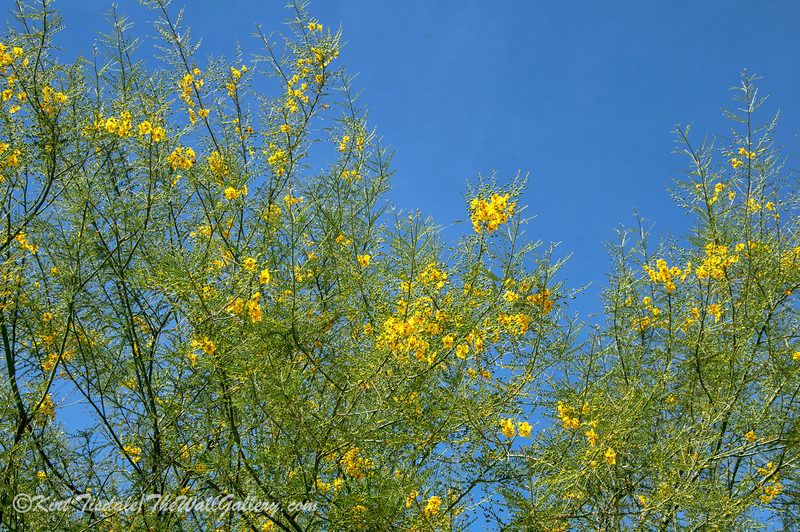 One of the more popular trees is the Palo Verde. 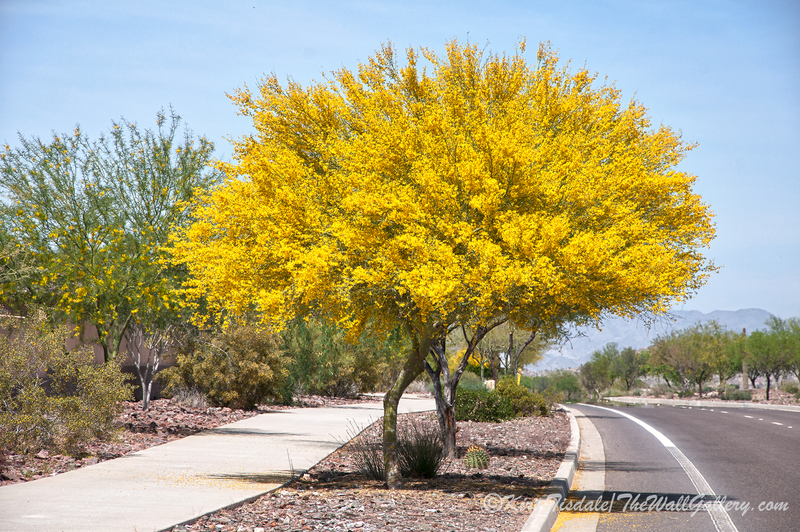 The trees are native to this region and naturally grow along the many “washes” that cross the desert landscape (washes are dry creek beds that fill very quickly with water during the summer monsoon rains). The trees grow quickly, have a light fern type of leaf and are known for their green trunks and branches. 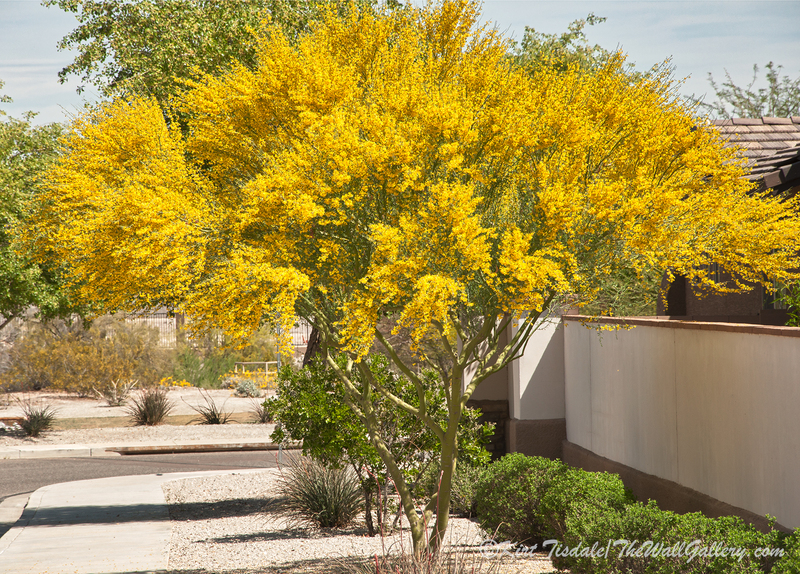 Over the last week, they have turned yards, parkways, and desert washes into dramatic splashes of bright yellow. I realize it isn’t the same as flowering crabs or cherry blossoms and other flowering spring plants, but in the desert, you take what you can get. 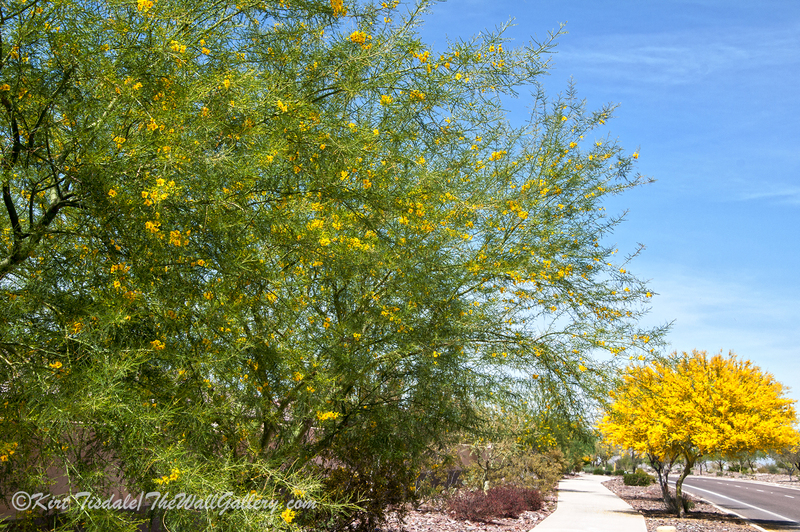 I have attached five shots from today of the Palo Verde trees and then added at the end four shots of succulent blooms I came across as I was capturing Palo Verdes. 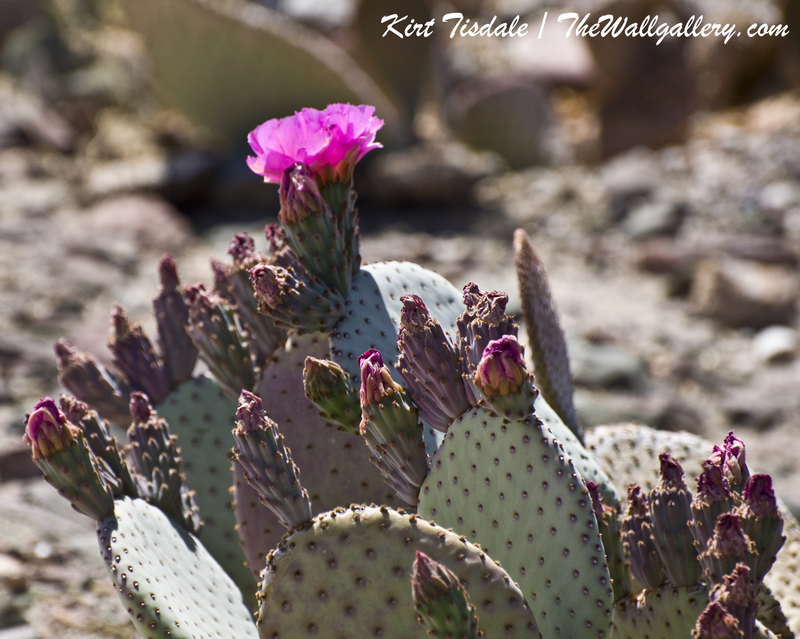 This entry was posted in Color Photography, Photography and tagged arizona, desert, desert blooms, desert plants, kirt tisdale, online art gallery, photographer, spring blooms on March 21, 2016 by Kirt D Tisdale. 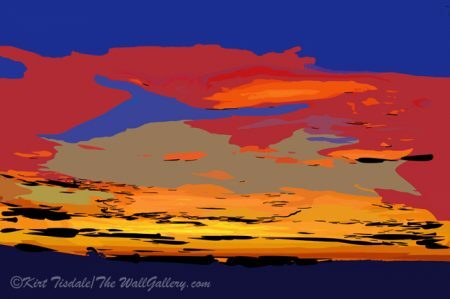 I just completed adding some new art prints to my Abstract Subtle Gallery and wanted to share two of them. 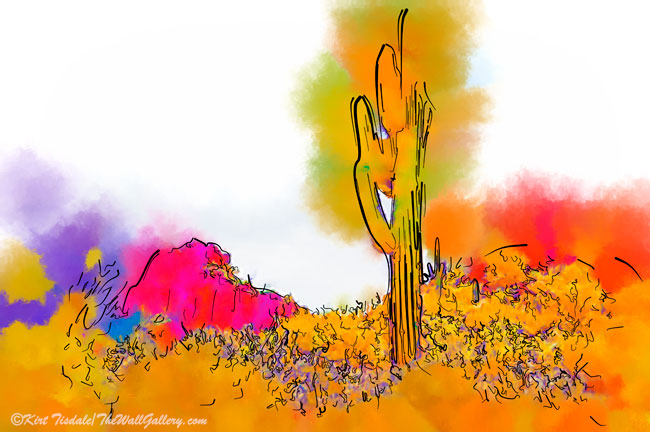 Both are of the Saguaro Cactus found here in the Sonoran Desert. I used a subtle watercolor technique creating an abstract look to both of the prints. I like an abstract approach to some subject matters, whether it’s big and bold like my last post or subtle like these. 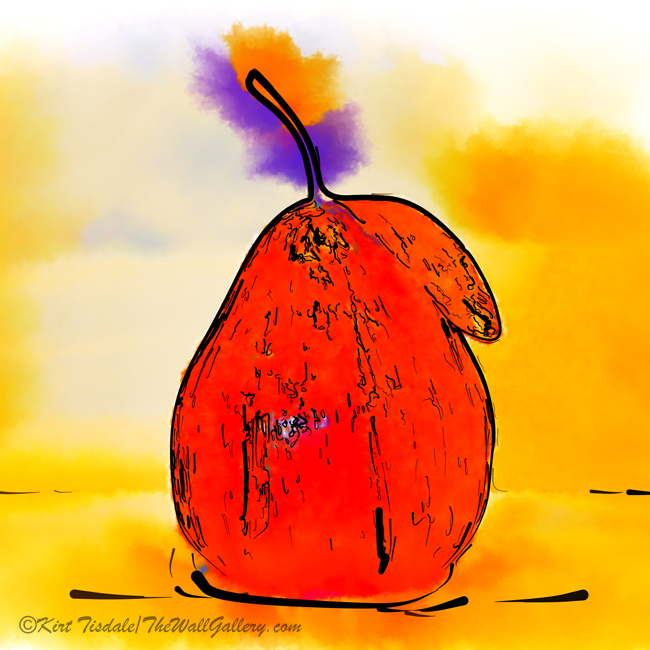 It allows the eye to absorb the color and suggestive shapes. This particular approach creates a subdued look to complement a look and not dominate it. 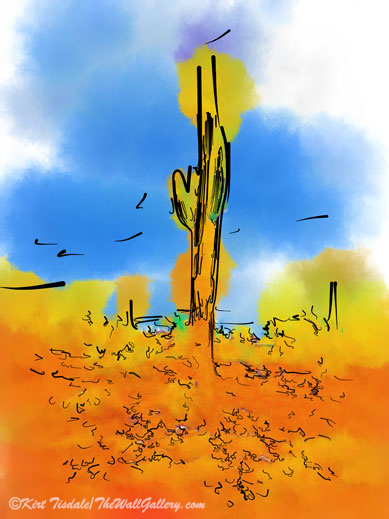 This entry was posted in Abstract Watercolors, Art Prints, Landscapes: Watercolor and tagged arizona, art gallery, artist kirt tisdale, cactus, contemporary artist, desert, interior design, online art gallery on March 16, 2016 by Kirt D Tisdale. I did a photo shoot early last that I covered in one of my blogs titled: Desert Glows – Hot Air Balloon Photo Shoot. 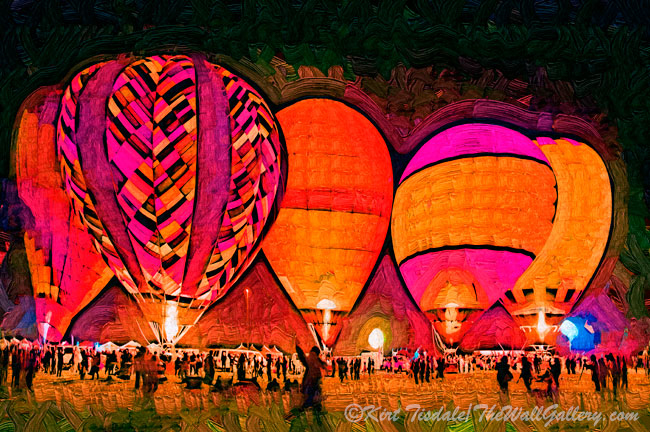 As a result of that shoot, I created these two art prints using a fauvism (Fauvism: a style of painting with vivid expressionistic and non-naturalistic use of color that flourished in Paris from 1905) technique of hot air balloons lit up at night. This technique uses abstract shapes and variations of colors to create a unique look. The balloons lent themselves to this style of art because of the dramatic shape and colors of the balloons. 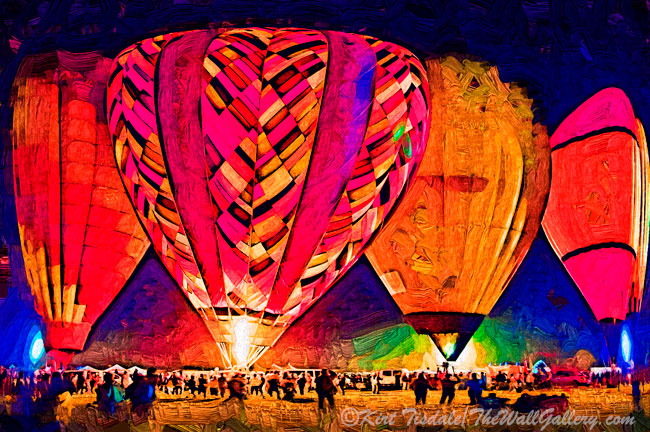 The event was the annual Hot Air Balloon Festival in Avondale, Arizona (Phoenix metropolitan area). The balloon envelopes were inflated in the early morning hours for flights and races. After that series of events, the balloons were deflated until the evening hours when the envelopes were again inflated, but this time they stayed on the ground. As evening turned into night with the darkening sky, the balloon operators shot large flames up into the envelope illuminating the brightly colored balloons. At this event the operators were synchronized to music, making the series of balloons rotate the glow to the beat of the tunes. This nighttime spectacular is referred to as The Desert Glow. It was a stunning scene to behold with the contrast of light and dark and the bright vivid colors of the balloon envelopes. These two art prints were recently added to my Abstract Bold Gallery. 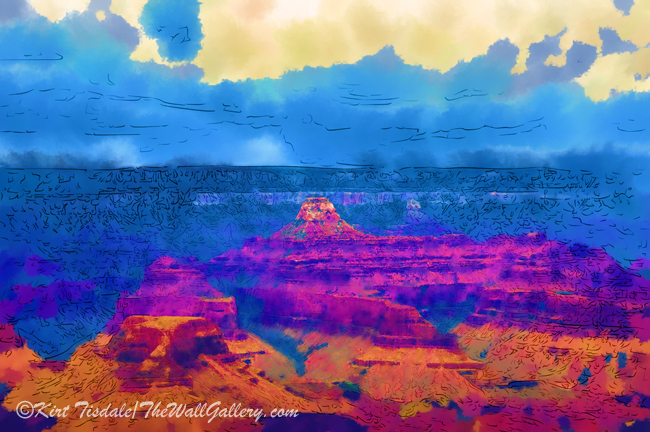 This entry was posted in Abstract Oil, Art Prints and tagged abstract art prints, arizona, artist kirt tisdale, contemporary artist, hot air balloons, interior design, online art gallery on March 11, 2016 by Kirt D Tisdale. 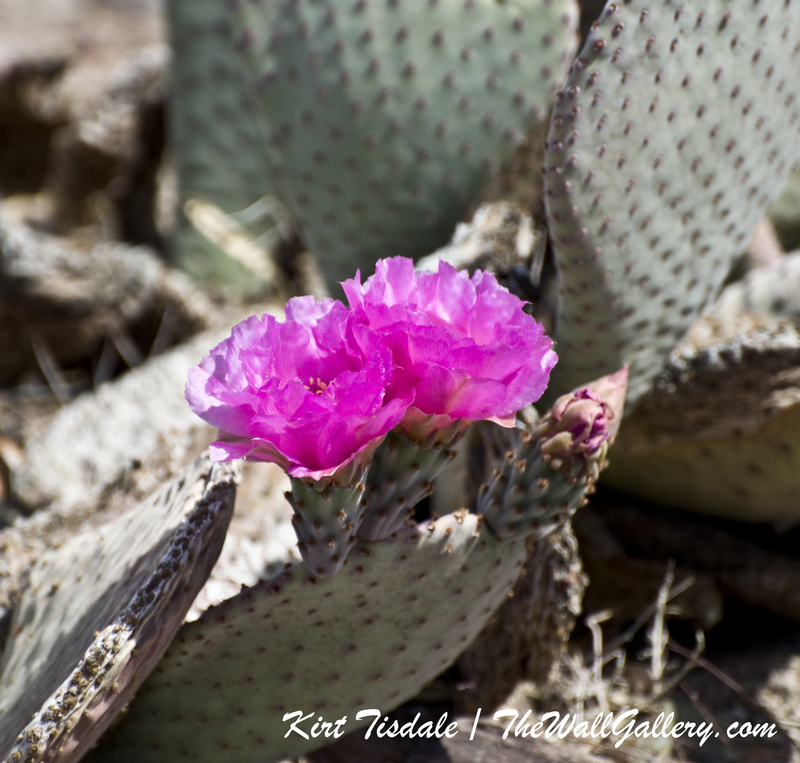 It’s that time of year again, when the cactus are starting to bloom….I am re-posting this blog from two years ago as the vibrant purple blooms are back…. A couple of weeks ago, I noticed driving into our community that the cactus planted in the common areas were starting to bloom. We are literally just a couple of blocks from open desert, so I thought it’s hiking time for a photo shoot to see what I can find. 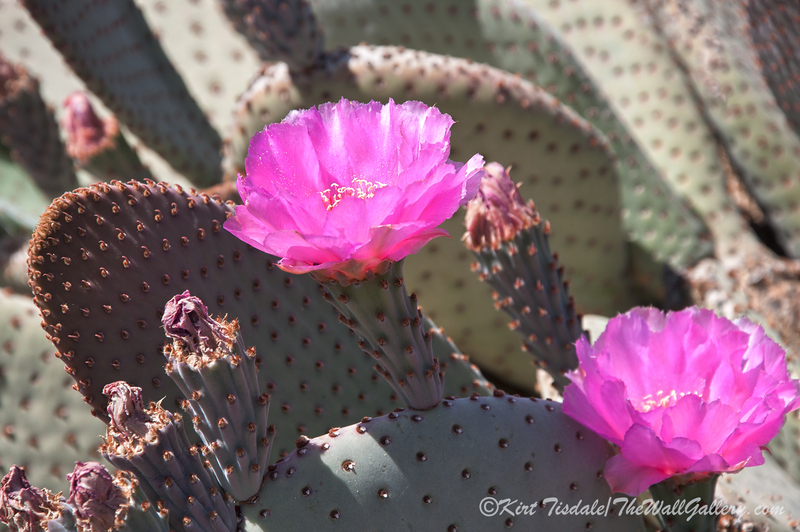 I have attached four of the shots from that expedition of the cactus I found in bloom. The color is incredible! 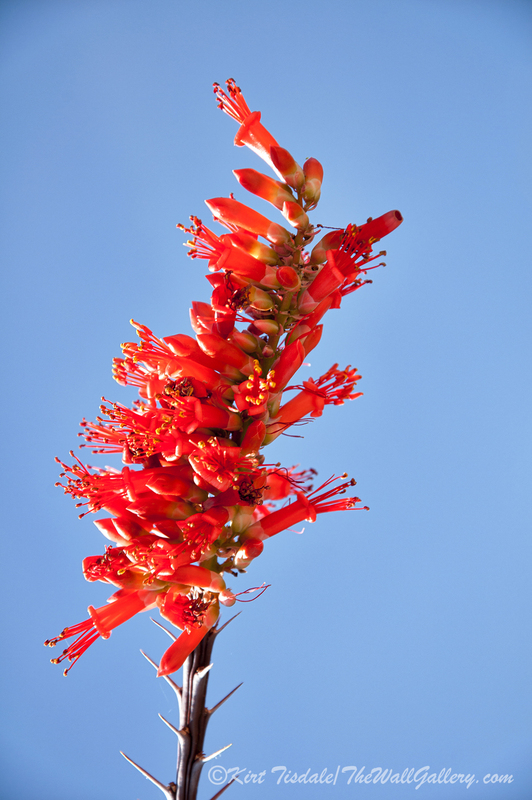 On Cactus Bloom 3 – notice the faint hint of a cobweb between two of the plants and then again in the lower left hand corner. I’ll share some of my other finds from that hike in a later post. Thanks! 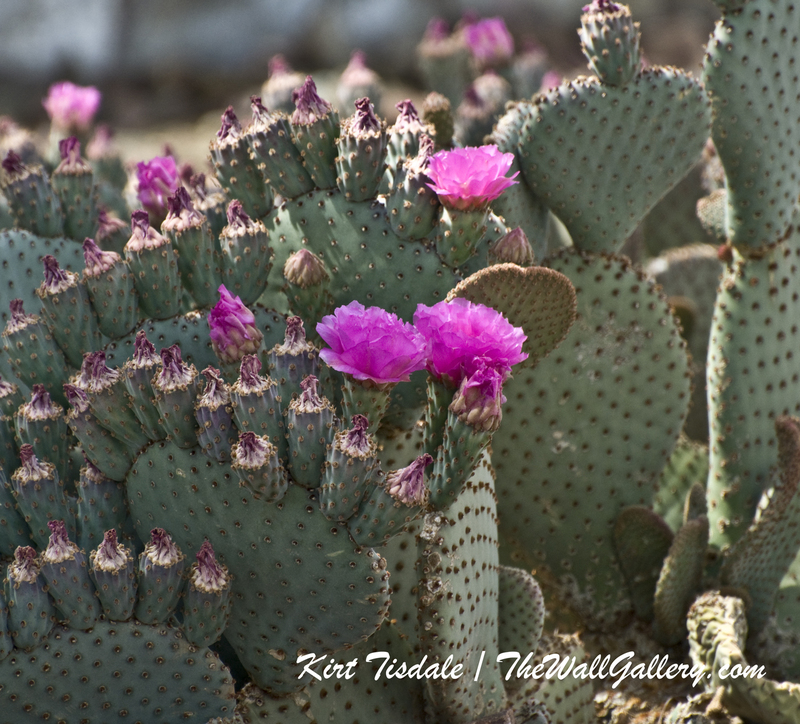 This entry was posted in Color Photography and tagged arizona, cactus, cactus blooms, desert plants, floral, interior design, kirt tisdale, photographer, photography on March 8, 2016 by Kirt D Tisdale. I am continually in awe of nature. Nature’s wonder caught my eye as I was going through some of my shots from Michigan last Christmas. I did a series of shots along the river in Rockford and haven’t worked through them to see what I had until this week. 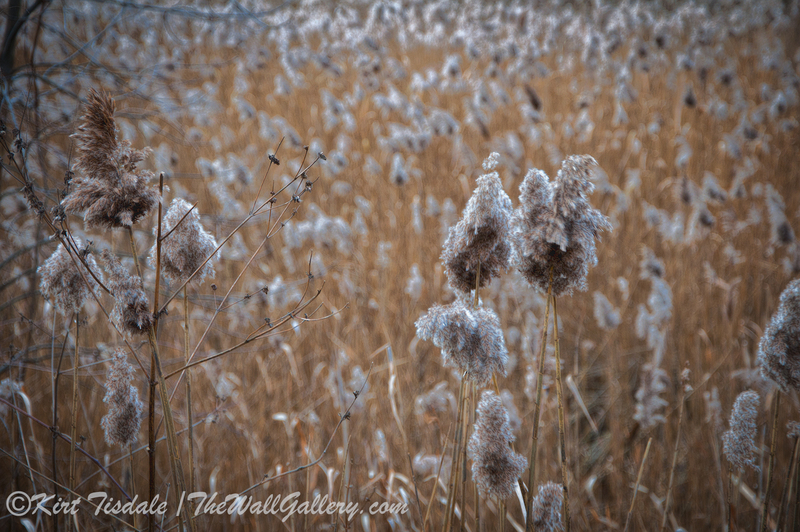 I knew I took a number of pictures of native grass that grows along the riverbed. Sounds kind of dull, but they really caught me eye and now I remember why….even when nature seems dormant, there is a beauty in it that we seldom stop to appreciate. 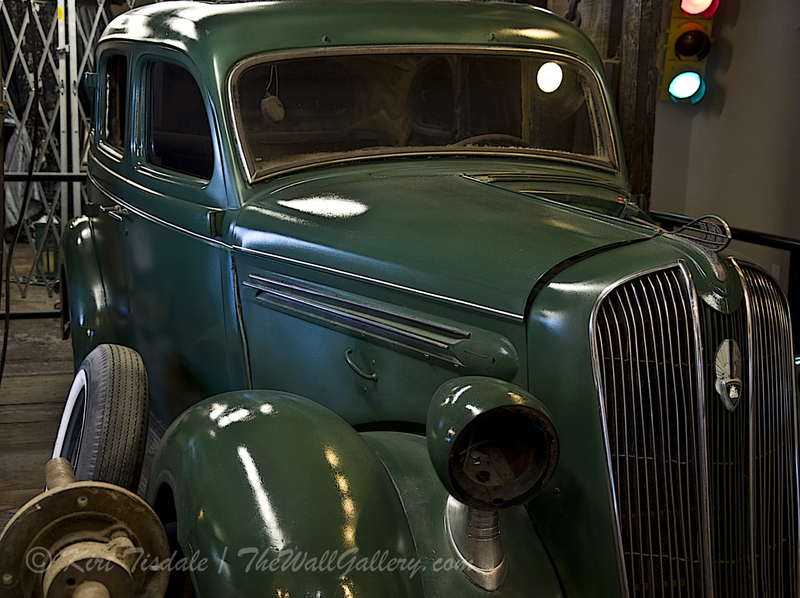 I have included four captures from that shoot that demonstrate just what I am talking about. 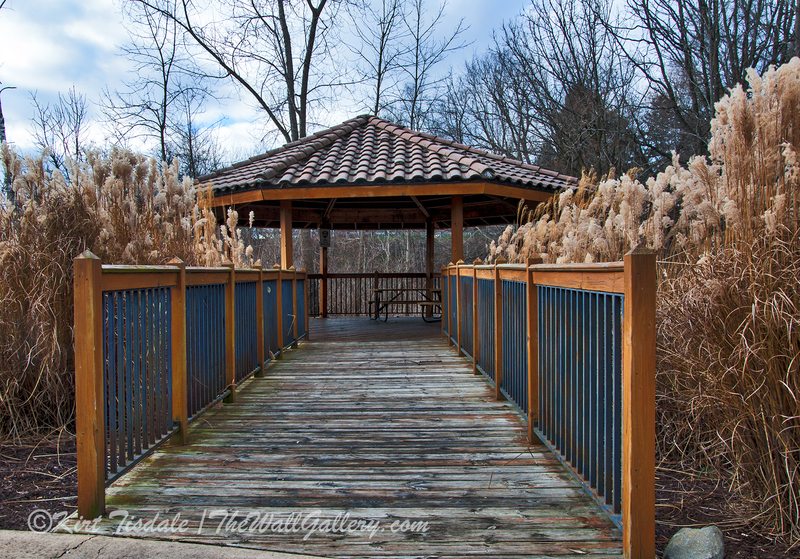 This first shot depicts a wooden walkway (marshlands) to a gazebo along the riverbanks. Look at the color of the grass accenting the walkway…. Shot number two and three were taken as I wandered into the field. 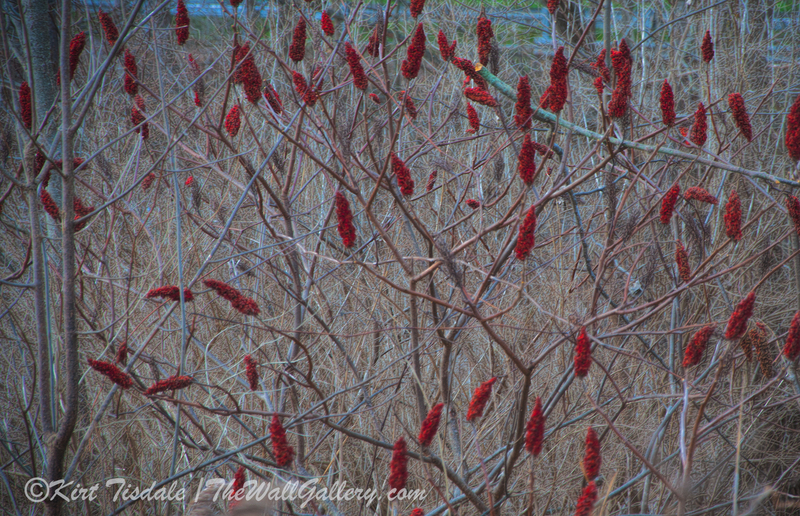 I wanted some close up shots of the seed pods opened with the field in the background. 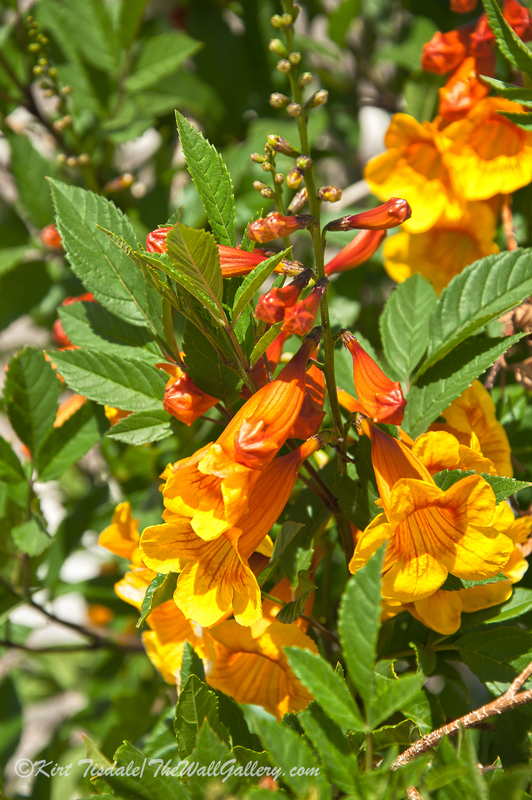 The last shot is that punch of color…have no idea what type of plant this is, but it clearly caught me eye. So as I said earlier, even when nature is dormant, there is a beauty in it that we seldom stop to appreciate. Thoughts? 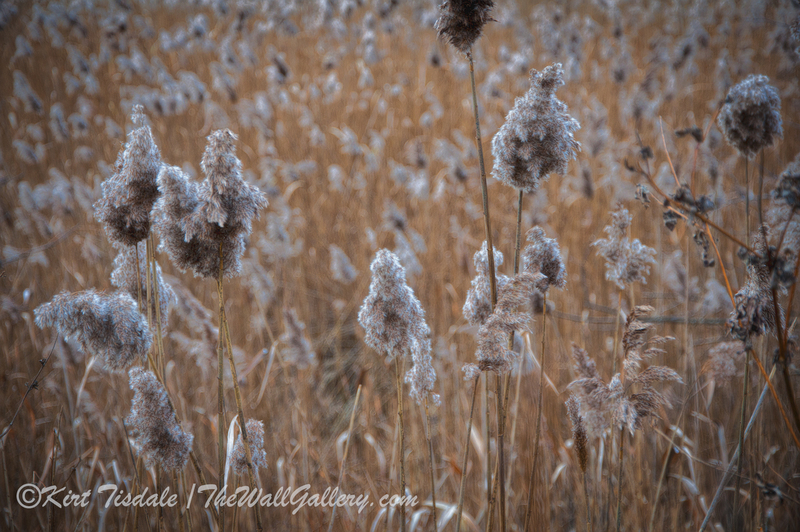 This entry was posted in Color Photography and tagged interior design, kirt tisdale, michigan, nature, online art gallery, photographer, photography, rural, wild grass on March 2, 2016 by Kirt D Tisdale.